In need of a little comfort food today? 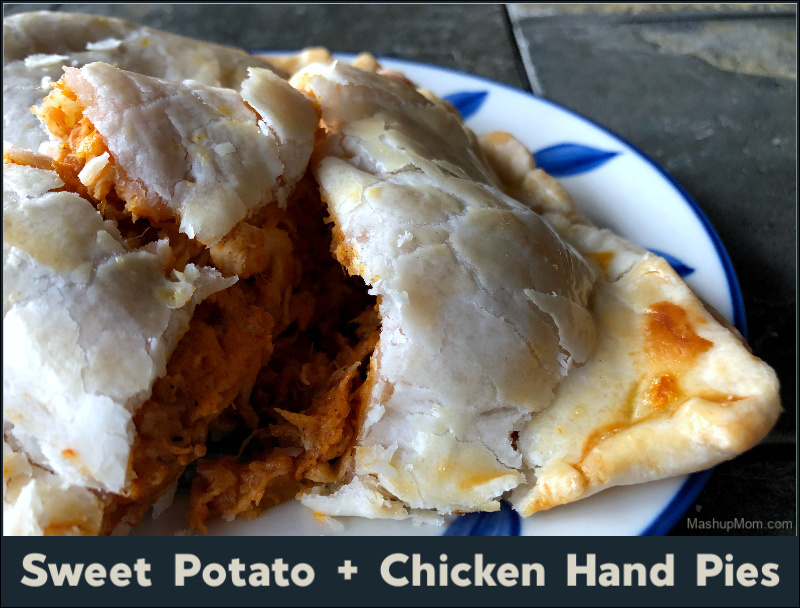 Sweet potato + chicken hand pies make for a comforting recipe idea on a blustery winter’s day, and are a useful way to turn a little leftover chicken into a whole new meal! What do you do when you have some leftover cooked chicken, you’re looking at a couple of extra sweet potatoes you didn’t end up needing on Thanksgiving, and refrigerated pie crust is seasonally on sale at ALDI? 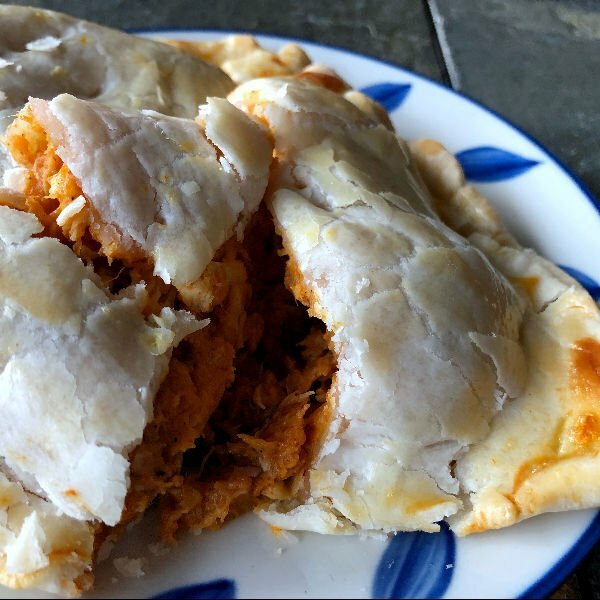 This is not a trick question, it’s actually… Sweet Potato + Chicken Hand Pies! 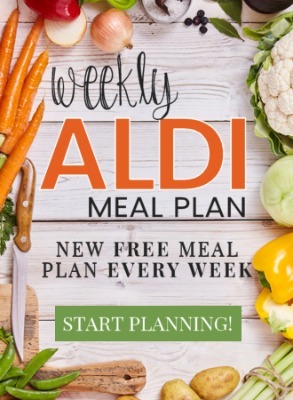 Sweet potatoes, $1.39 pie crust (love you, ALDI), and leftover chicken all feature in today’s edition of Sunday Scratchups: Your weekly recipe idea around sale items + affordable ingredients. These hearty, filling hand pies would also be lovely with leftover turkey as a post-holiday leftovers switch up. 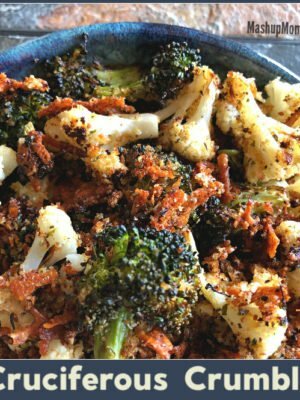 The chipotle pepper + chili powder here give these a little bit of a kick to contrast with the sweetness from the buttery crust + sweet potatoes, making for a nice complement of flavors. Scrub sweet potatoes and pierce with a fork. Microwave uncovered on high for 10 minutes or until tender, turning over halfway through. Remove the pie crust from the refrigerator and let it sit out on the counter while you let the sweet potatoes cool a bit. Preheat the oven to 400 degrees and spray a rimmed baking sheet with cooking spray. 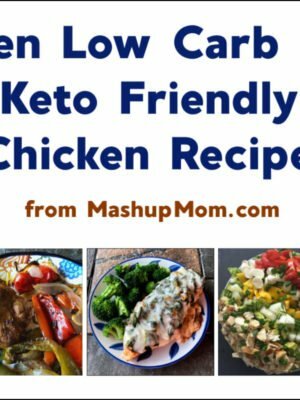 Meanwhile, chop your chicken, garlic, onion, and chipotle pepper. Heat olive oil in a small skillet over medium heat. Add onion and saute for two minutes, or until browned. Add garlic and saute very briefly, then turn off the heat under the pan. 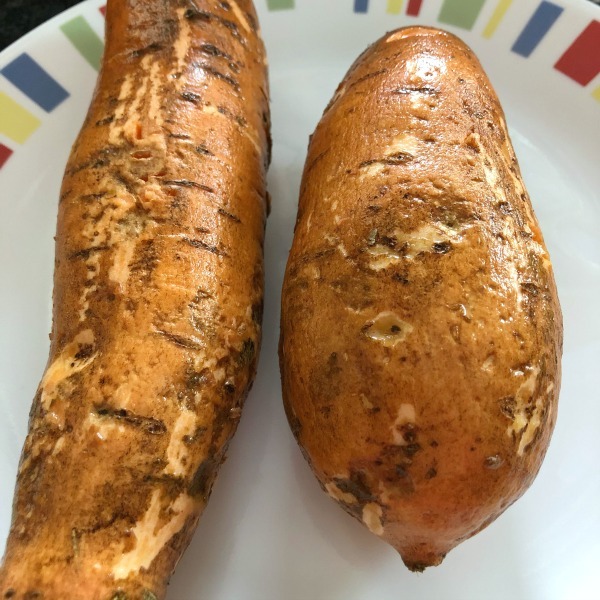 Pull the skin off of the sweet potatoes, then add the sweet potato pulp to a large bowl and mash. Stir in sauteed onion & garlic, chicken, chipotle pepper, chipotle sauce, sour cream, cheddar, and seasonings. Cut each pie crust into three equal wedges, so that you have six total. 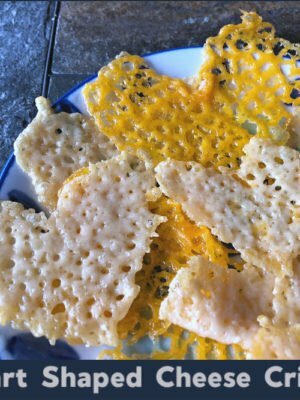 Scoop an equal amount of the sweet potato filling into each wedge, then fold it over and crimp the edges. 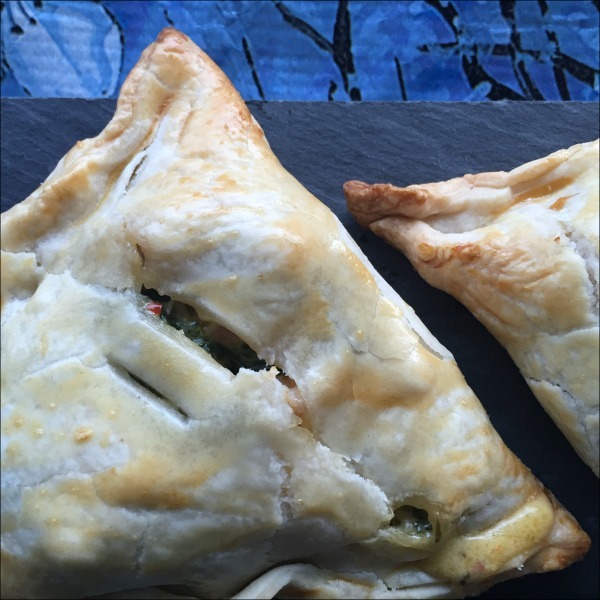 Arrange hand pies on the prepared baking sheet. Beat the egg together with 1 tsp water. 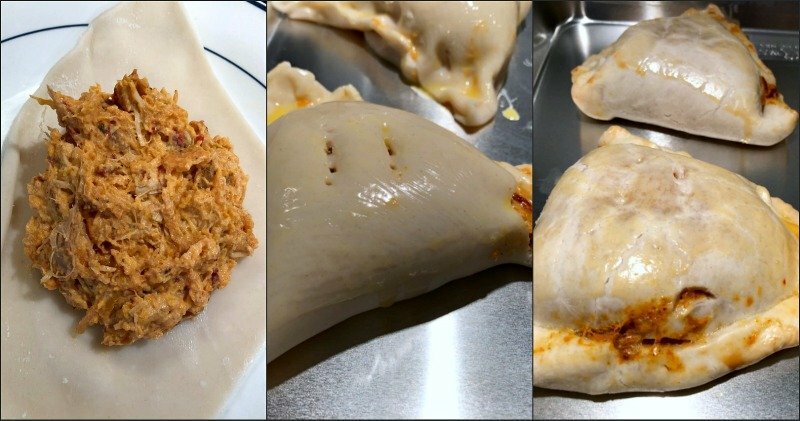 Brush each hand pie with the egg wash, then cut a couple of small slits into the top of each to let steam escape. Bake for 20-22 minutes at 400 degrees, or until hand pies are golden brown. Note: Substitute leftover turkey for leftover chicken, or you can easily change up the filling here with whatever leftovers you happen to have on… hand. Comfort food, all wrapped up in the palm of your hand! 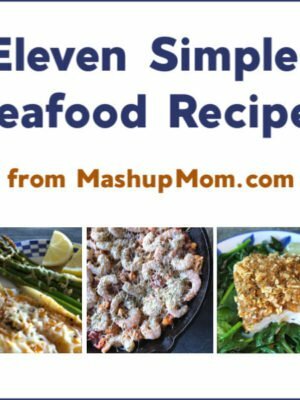 Not feeling the sweet potatoes, or just have some different leftovers to use up? Try one of these! Or mix things up with whatever leftovers you happen to have on… hand. If you’ll excuse the pun. In need of a little comfort food today? 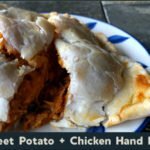 Sweet potato + chicken hand pies make for a comforting recipe idea on a blustery winter's day, and are a useful way to turn a little leftover chicken into a whole new meal! Note: Substitute leftover turkey for leftover chicken, or you can easily change up the filling here with whatever leftovers you happen to have on... hand. I can’t figure out how you cut the circular pie crusts… can you show a picture of the shape you cut them in? Thanks! I just cut each crust into three triangular wedges — so think of cutting it into three very large pieces of pie.